Tia Barrett, another member of a well-known Ngāti Maniapoto family, is a descendent of Nathaniel Barrett, who arrived in New Zealand from England in the 1840s. Nathaniel worked as a teacher in the Kāwhia district and married Caroline Te Maawe Nehua of Ngāti Maniapoto in 1849. Tia Barrett served as both a New Zealand high commissioner in the Pacific and a director of the Treaty of Waitangi Information Unit. Tena koe Brenda, My name is Emma, Pourewa was my Dad's Grandmother. 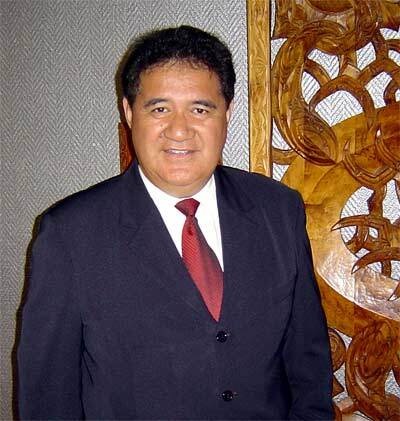 He was brought up with Nanny Pou at Wharepuni. Would be happy to have contact with you. Tena Koe Tia, My name is Brenda Rawiri, i am a descendant of Pourewa Barrett who married Rangiwhaiao. They both deceased in Te Hawera in Taranaki, a place called oporoa where the family homestead is thriving not far from the urupa. i am trying to find any connections with the whanau of Barrett or even Rangiwhaiao?